celtic music | Life Is A Festival! 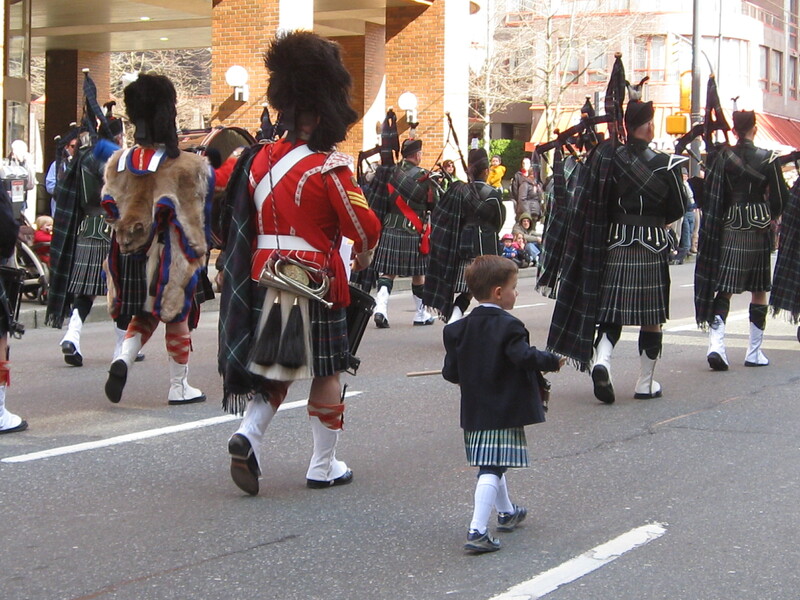 When I was browsing festival listings for Vancouver before moving here I was pleased to see that they have their very own St. Patrick’s Day Parade! 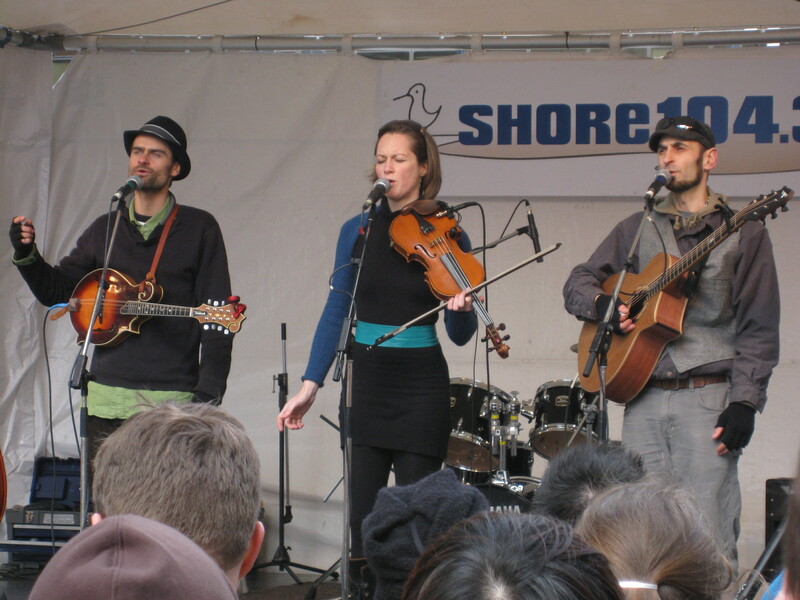 CelticFest Vancouver got started in 2004 and has meanwhile turned into a several day long party of all things Celtic which is celebrated in March each year, this time from 16 til 20 March 2011. It is also one of the festivals that looks after their volunteers extremely well, we got invited to a volunteer drinks night before the festival had even started. 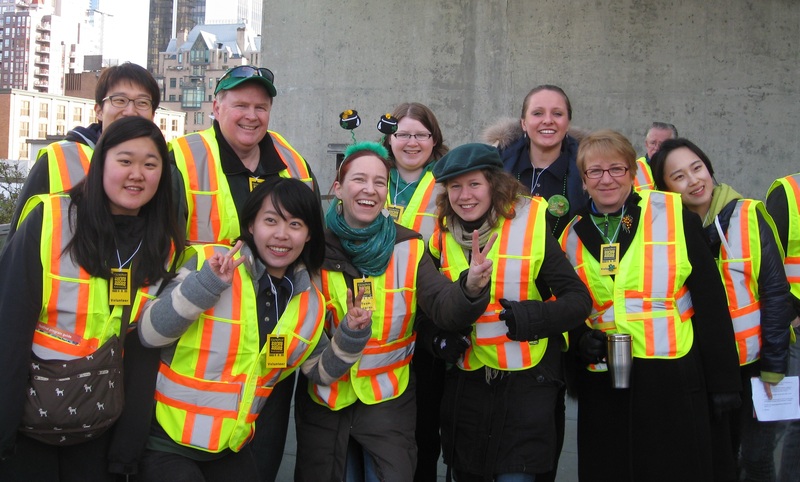 The hub of the festival operation was the Scotia Bank Dance Centre where we all signed in and out for our shifts and hung out with coffee and snacks in between racing from the Celtic Village on Granville Street to some of the other venues. Most volunteers were needed for the actual parade to ensure that audiences and performers had a safe and fun day. I was a team leader for a group of volunteers stationed alongside the parade route and we were a very international bunch representing about five countries, from Korea to Belgium. A few of us volunteers also went to a gig by The Starbirds and Spirit of the West at the Vogue Theatre in Vancouver. Both excellent live bands who had the audience dancing in front of the stage within minutes. As with most festivals, am still in touch with a handful of people who I had most fun with and am already looking forward to the volunteer BBQ in the summer!